I used to be a VR skeptic. I still kind of am—most VR games don’t really do it for me, unless by “it” you mean cause motion sickness, in which case most VR games totally do it for me. 2018 saw a bunch of really good games come out for PlayStation VR, though, and thankfully most of them didn’t mess with my head that much at all. Perhaps game developers have finally cracked the VR nut, or maybe my brain has somehow become stronger and more resilient in my old age. Either way, there were five new PSVR games in 2018 worth mentioning, so let’s get to it. If you have a PlayStation 4 and the PSVR headset, and haven’t played these games, it’s definitely something you should consider. On the surface Hidetaka Miyazaki’s Déraciné bears little in common with his massively popular games Dark Souls and Bloodborne. There are no weapons, no evil beasts to fear, no extreme amounts of repetition to pull off that boss battle just right. It’ll make you think of games like Firewatch and Gone Home—story-centric experiences that have some puzzle elements but are more about atmosphere and narrative than action. As you start to peel through the game’s mystery, though, you’ll notice that it tells its story in an elliptical way not unlike Miyazaki’s other games. Déraciné has the patience to let you pick up on what it’s trying to say, and the indifference to let it completely go over your head. It’s proof that virtual reality can be a natural home for these kinds of slow, involving stories. Rhythm games work beautifully in VR because the full-on sensory immersion makes the beat of whatever you’re listening to more powerful and immediate. 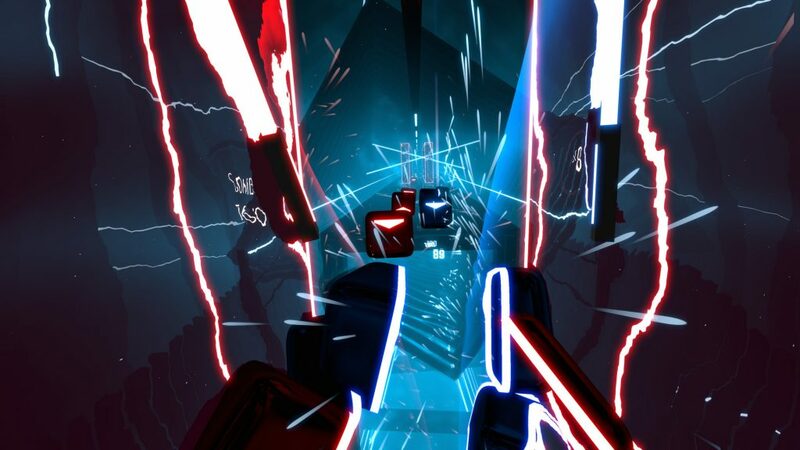 Beat Saber is another superb entry in what has so far been the most successful VR genre, one that stakes out its own unique turf through use of the Move controllers. You’ll wield them as virtual swords, slashing through the beat as it rockets towards you in time with the music. 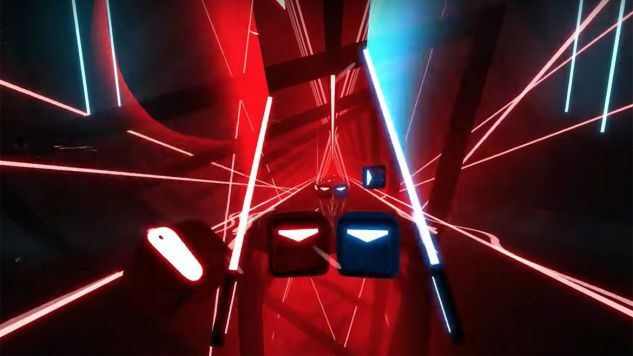 If you get really into it, Beat Saber even offers a little bit of a workout. With its slick neon graphics and propulsive score, you’ll think you’re hacking and slashing your way through a Tron movie. It doesn’t matter how many times we’ve seen cartoon mice wielding swords—it’ll always be adorable. 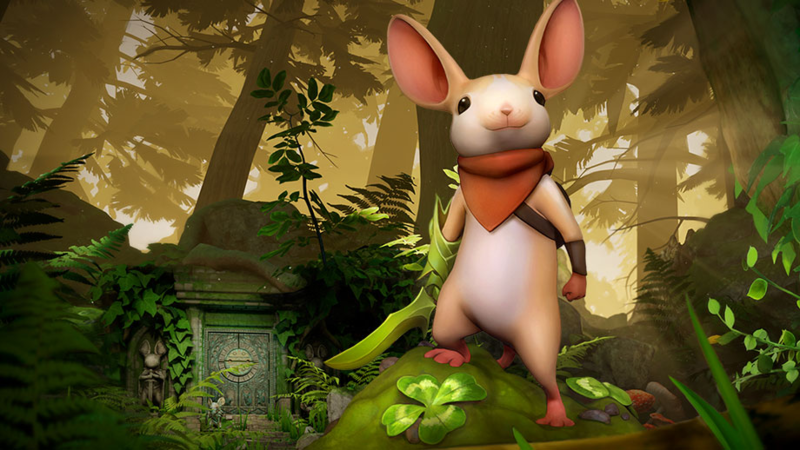 Moss doesn’t just toss out a cute animal and some charming visuals and expect that to be enough, though. Polyarc’s VR adventure game uses the depth and sense of scale possible with VR to make it feel like you’re really peering into a storybook come to life. And that brave little mouse Quill’s use of sign language to communicate with the player is a neat stab at accessibility that more games should do. Speaking of adorable… Sony’s platformer expands on one of the best parts of the augmented reality mix tape The Playroom, turning it into a fully fleshed out game that capitalizes on the “you’re really there” thrill of VR. If you can call anything the Super Mario 64 of VR—the ingenious platformer that shows exactly how the genre should work in a new dimension (this type VR, obviously), it’s Astro Bot Rescue Mission. 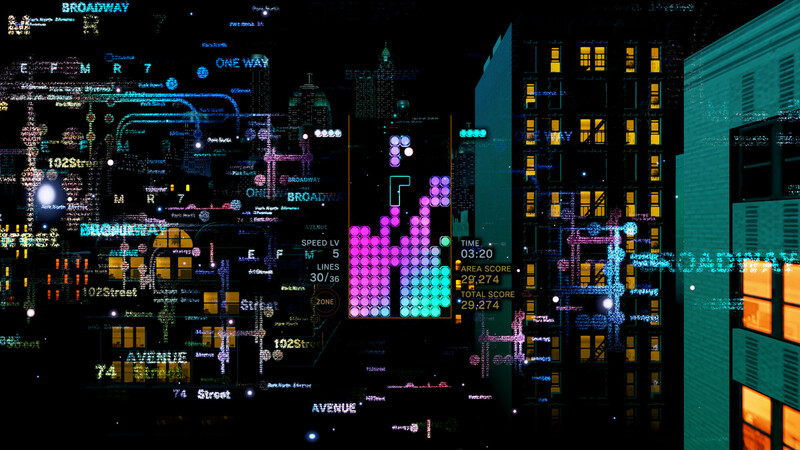 Tetris Effect is a brilliant and forward-thinking new take on an old and deeply familiar classic. It’s a curious combination of relaxation and extreme stress, often swerving abruptly from one right into the other, and surrounding myself in it through virtual reality and headphones makes it even more powerful and evocative. It could use some more variety in its music, and be a bit more esoteric and surreal with its imagery, but it’s still a gorgeous, sometimes glorious vision, and a true VR stand-out.